Time for a new challenge at Time Out. The theme is Food and Drink with an optional twist of a one layer card. The challenge runs from August 2nd to August 15th. Our sponsor is Birch Press Designs. A randomly drawn winner, chosen from those who twist, will receive a $20 gift voucher to the Birch Press Designs Shop. Challenge winner, chosen by our Design Team, will win a spot as Guest Designer for a future challenge. 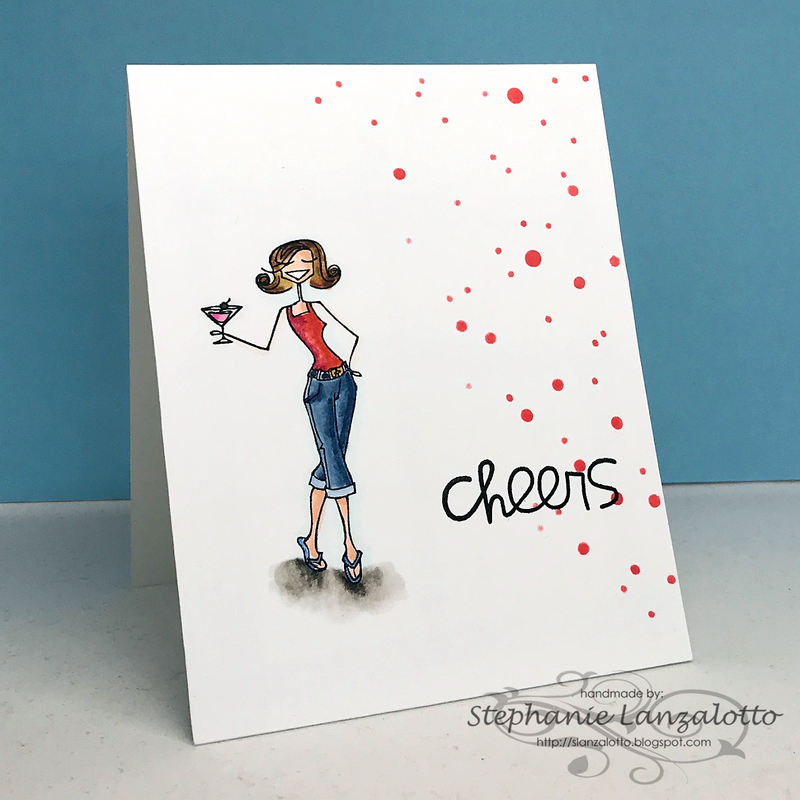 Our Guest Designer for this challenge is the lovely and talented Susie Moore of Created 4 Creativity. She is a very talented designer with a wonderful eye for using lots of wonderful colors on her projects. 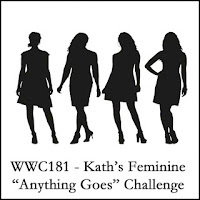 Please take a stroll through her blog You are sure to be inspired. For my card, I used a "vintage" stamp that has been in my stash for many years from stampingbella.com - Cosmobella. She has been updated since she was first released in 2006, but I felt that she was perfect for this challenge. I colored her with Copics, stenciled some bubbles with Simonsaysstamp Falling Snow Stencil and added a sentiment from Paper Smooches. Please head over to the Time Out Challenge Blog to see what Susie and the Design Team have created for your inspiration. 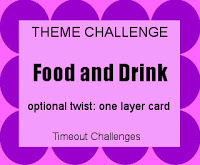 Then create a food/drink themed card and link up in the gallery. I can't wait to see how you are inspired! Oh she didn't need updating, she is so glam and who doesn't love a Martini! Love the added sparkles!! Such a fun image. Love how you colored that fun gal, and those red dots (bubbles?) really add do your design. I love your coloring and layout. Perfectly wonderful card! Chin chin - great colouring and beautifully balanced card. Love the extra touch of the splatters. Thanks for playing with us this week at the Watercooler Wednesday Challenge. I smiled as soon as I saw your card - and I swear that it wasn't before I made mine :) I love that we both used similar "vintage" stamps from our respective stashes and added the bubbles... great minds :) Fabulous card! Your coloring is wonderful! Thanks for joining us at Watercooler Wednesday Challenge!